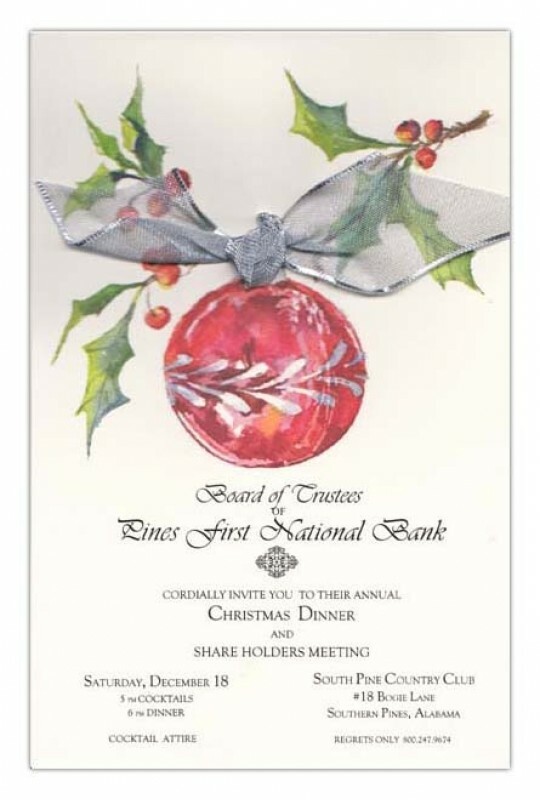 This beautiful invitation is perfect for any Holiday party and can be used as a Christmas Card when personalized with your special message! 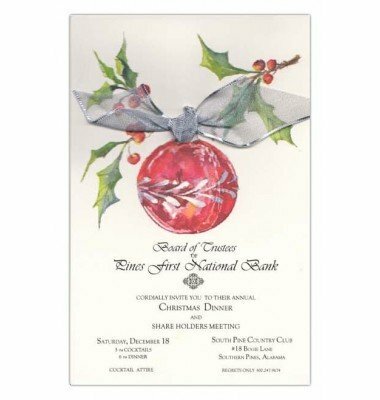 Silver mesh ribbon is included and must be attached to card after printing. White envelopes included.